12 pink roses, pink lilies and green, wrapped by paper and pink round gauze with purple bowknot. Your purchase includes a complimentary personalized gift card. Shipping : Any Part in Philippines. 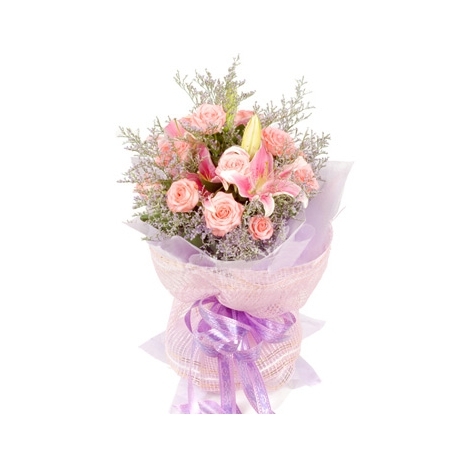 12 pink roses, pink lilies and green, wrapped by paper and pink round gauze with purple bowknot.